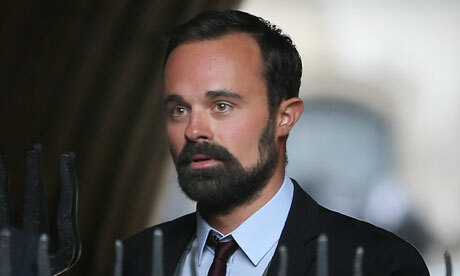 Writing about yesterday’s proceedings at the Leveson inquiry into phone hacking, the Guardian’s reporter Michael White describes the Russian owner of the London Evening Standard and the Independent, Evgeny Lebedev, as ‘speaking perfect, accented English’. This made me think. Would it be possible to claim that someone spoke perfect, grammatically flawed, English? I don’t think so. Could you describe someone as speaking perfect English with inaccuracies in vocabulary? Again, I don’t think so. How, then, is it that someone can speak perfect English, but with mistakes in pronunciation? Why is it that ‘perfection’ tolerates L1 interference in phonetics, but not in grammar or vocabulary? Supporters of the communicative approach to language teaching, and followers of Jennifer Jenkins and her ideas on the phonology of English as a Lingua Franca, would probably say that an insistence on native-speaker-like phonetics is irrelevant. All that matters is that you should be understood. No doubt the reason we tolerate some L1 interference in pronunciation is that our articulatory habits tend to be fossilized once the critical period for language acquisition has passed. We’re not good at acquiring the motor control needed to articulate a new language in a native-like way. Lexis, on the other hand, merely needs to be learnt, and we all — native speakers included — continue to extend our vocabulary throughout our lives. Grammatical ability has some similarity to doing mathematics: you just have to learn the rules and then apply them. On the whole, good adult language learners can manage this. I wouldn’t describe myself as speaking ‘perfect’ German. In terms of the Common European Framework of Reference for Languages I don’t think I could honestly claim to be beyond B1 level. But at least I can pronounce it well. Language ability isn’t just a matter of getting the pronunciation, the grammar and the vocabulary right. You also need to know what to say and in what circumstances: communicative ability and cultural knowledge. I wonder if Mr Lebedev’s English really is at level C2. — except for the pesky matter of pronouncing it in a native-like way. I don't think we can so easily separate out judgements of pronunciation level from judgements of other aspects of speech. It wouldn't be too fantastic, I believe, to argue that Lebedev's English was judged by the linguistic layman to be 'perfect' precisely because of his Russian accent. It's an accent that is easily understood, despite its foreignness, and may even carry connotations of intelligence (or at least cunning!) for some native speakers. Imagine a Chinese, Japanese, French or Vietnamese speaker of English who has 'perfect' grammar and vocabulary but speaks, as is all too common, with a an accent that is barely intelligible (or, sadly, unintelligible) to native speakers (and other non-native speakers). Wouldn't such a person be readily characterised as speaking 'broken' English? Coming at it from the other direction. How many phoneticians have found themselves cursing their own good pronunciation of a foreign language because native speakers take them to be much more proficient than they really are? How futile is it to say 'Sorry, I don't speak language X very well' with perfect pronunciation? You'd be better off saying it in your native language if you really want your interlocutor to take heed. Oh, and a well-trimmed beard and a natty suit probably also help if you want your English to be judged to be 'perfect'. This approach is all nice and reasonable, but as you say, the common concept is influenced by people's typical skills. If you break the expectations, you can get into trouble - I remember before I even started to learn a certain language, I happened to be in the corresponding country. I had figured out, with the help of a dictionary and a grammar, how to say "Good morning. Do you have any sugar-free chocolate by any chance?" My lexical and grammatical level was roughly zero, but my pronunciation was good. I still have no idea if they had what I wanted, because the shop assistant didn't answer "yes" or "no", which I had looked up, but something longer, probably "sorry, we're out of it" or "yes, what flavour would you like". I politely thanked her and bade her a good day. It's rare that somebody speaks a language without an accent, but with errors in grammar or with a clearly limited vocabulary, but I think if people meet such a person, they might actually say it's "perfect except for the forms/grammar/lack of words". Especially if it's about idiomatic expressions, people might say "perfect but sometimes funny" or the like. From this intimidating description I should say that I am not even at that level in my native Polish, let alone in any foreign language I have ever attempted to learn from books or exposure, and I wonder how many C2-level speakers of any language there have ever been on Earth. The problem is not just language as such but also the thoughts that are supposed to be expressed in language/by means of language or however one is to call it. Other than that, I agree that 1. no-one's English (or any other language) can be considered perfect if it is spoken with an accent. Perfect is perfect, not nearly-perfect or any such, 2. Having a well-trimmed beard and so on surely helps to get one's non-perfect English graded as perfect, 3. one is in most cases better off speaking a foreign language with good grammar and good vocabulary but an accent (=bad pronunciation) than vice-versa. sorry, 'whatever one is to call it', it should have read above. Now my English is surely anything but perfect, pronunciation- as well as otherwise. I listened to a random YouTube video for a short time, and on the one hand, his accent is quite good for a foreigner (pre-glottalised t, vowels &c.), on the other hand it's astonishingly foreign for somebody who came to England as an eight-year-old. His intonation is discernably Russian. He also pronounces Russian words (perestroika, glasnost) the Russian way, which is often a giveaway for people who otherwise haven't a non-native accent. The short excerpt didn't show any peculiarities in terms of grammar or idiomatics. In one clip, describing his life in Russia, he says "I was fifteen when men with guns came for my father." So he must've been older when he moved to the UK permanently . Lipman, I liked your 'haven't'. Kind of English I was taught, not the one of today where it's 'do not have'. The Guardian puts out an edited clip of Lebedev's evidence here. There may be situation in which he is less than C2, but I don't think this is one. My wife, who should be able to spot, didn't realise he was Russian, and wasn't even sure he was a foreigner. Asked for an assessment, she pronounced 'His English is bloody good!. If I hadn't known who it was, I still wouldn't have shared Elena's uncertainty as to whether he's a foreigner; there are slight oddities of articulation. Nevertheless, he's very impressive — particularly in his handling of repair and pause-filling, something which highly proficient Russians can be bad at. It's possible that Lipman heard him talking about things he usually discusses in Russian, and that he talks about newspapers and politics almost exclusively in English. I don't find the intonation particularly Russian. Elena can hear it now that she knows that he's Russian, but wouldn't have guessed before. I imagine he's deliberately pronouncing those Russian words in the Russian way - aware that native English-speakers usually anglicise (or mispronounce, you might say) them in a way he doesn't. In English we're used to quite a lot of variation in native-speakers' accents, including phonemic splits and mergers that are often as dramatic as those found in foreign accents, and I think the man on the street is generally aware of this. This could be one reason why "perfect" English means "grammatically and lexically perfect" rather than phonetically native-sounding. Another factor may be the perceived primacy of the written language: spoken English is often viewed as a reflection of written English, rather than the other way round. In this view, only grammar and vocabulary count (and spelling, of course, which isn't relevant here). A foreign accent is therefore akin to a weak mobile or TV signal. "In English we're used to quite a lot of variation in native-speakers' accents"
Indeed. I wouldn't accuse a New Zealander of having anything less than perfect English, even if he does call me Ellen. I think the main factor is, as John said, that it's more difficult to get our muscles to produce sounds we weren't used to earlier in life. I've heard people speak with perfect AmE grammar, vocabulary, idiomatics and even intonation, but with a German or French uvular fricative r or a monophthongal GOAT vowel. That's right - it's certainly harder to acquire a perfect accent than perfect grammar in L2. But I think the question was: Why is this tolerated? Why do we say Mr Lebedev's English is "perfect despite a Russian accent" rather than "perfect apart from a Russian accent"? Because 1. much to Prof. Wells' (and mine) chagrin accent is judged less, not to say much less important than grammar and vocabulary (for a variety of reasons, some of which are mentioned in various postings above), and 2. Mr Lebedev is a VIP, good-looking, rich, influential etc. That this kind of things should count is deeply undemocratic, certainly, but that is how human nature (at least in Europe) works. (C) by Paul Carley above. It's actually very simple. Perfect accented English and the communicative approach exist in different universes of discourse — which, in turn, reflect different eras of thinking about language. Perfect English is a fossil of an expression from an era where language meant written language. To speak perfectly was to speak 'like a book' — a book that has been checked and corrected by an editor. Accented is another fossil. It reflects a world where one recognised a norm of pronunciation and everything else was an accent. Even today, Joe Public is likely to recognise a Northern accent, a foreign accent even a posh accent contacted with 'normal' i.e. no accent, occasionally unaccented. There's no scale or gradation; there's accented and unaccented aka without accent nothing in between. You either do this or you don't. there are no half measures. Well, I would not say of any speaker of any language that he/she speak it perfectly or that her/his [here the name of the language] be perfect if spoken with a FOREIGN accent. A Yorkshire accent doesn't make, I'd say, someone's 'otherwise' perfect English less perfect, or rather less _than_ perfect, because it's native, whereas a Dutch accent does. 'roughly 85% along a scale of proficiency whereby 100% (C2) = as good as we care to measure in foreign speakers'. The Common European Framework drew on the theory and practical experience of several previous proficiency scales. One lesson drawn was not to equate the upper extreme with native-speaker proficiency. In particular areas such as reading academic literature, following lectures, organising an intricate spoken argument, a foreign postgraduate speaker may be expected to exceed the language proficiency of a great many native speakers. Like other recent proficiency scales, the CEF starts from zero — or as close to zero as can be measured — and defines the other pole as the maximum measurable proficiency that could be expected of a foreign speaker for a stated purpose. B1: Can deliver short, rehearsed announcements on a topic pertinent to everyday occurrences in his/her field which, despite possibly very foreign stress and intonation, are nevertheless clearly intelligible. C1: Consistently maintains a high agree of grammatical accuracy; errors are rare and difficult to spot. And a less-than-professional assessor might make that judgement of someone displaying a lesser degree of accuracy. C2: Can exploit a comprehensive and reliable mastery of a very wide range of language to formulate thoughts precisely, give emphasis, differentiate and eliminate ambiguity ... No sign of having to restrict what he/she wants to say. C1: Can vary intonation and place stress correctly in order to express finer shades of meaning. B2: Has acquired a clear, natural, pronunciation and intonation. These are, admittedly, within the grasp of virtually all native speakers. But they're also consistent with a 'foreign' accent — however one judges foreignness. I haven't heard Lebedev speak, but I do know Russians who rate B2 or higher and yet have a pronunciation which an old-fashioned observer might well call 'accented'. C2: Has a good command of idiomatic expressions and colloquialisms with awareness of connotative levels of meaning. Can convey finer shades of meaning precisely by using, with reasonable accuracy, a wide range of modification devices. Can backtrack and restructure around a difficulty so smoothly the interlocutor is hardly aware of it. C2: Can converse comfortably and appropriately, unhampered by any linguistic limitations in conducting a full social and personal life. C1: can easily follow and contribute to complex interactions between third parties in group discussion even on abstract, complex unfamiliar topics. C2: Can hold his/her own in formal discussion of complex issues, putting an articulate and persuasive argument, ay no disadvantage to native speakers. These are all scales on which an articulate talented foreign speaker can outperform and inarticulate native speaker. The native speaker's 'authentic' accent may give a tiny social boost to his/her effectiveness and a 'foreign' accent may detract a tiny bit, but essentially a clear, natural pronunciation — provided, of course, that it doesn't jar — is no barrier to top rating. well, 'can express himself', maybe yes, but in great many cases just 'can'. Maybe Polish is as such a far less perfect instrument of linguistic performance than is English, or French for that matter, or perhaps Italian, I am not inclined to believe that. Or, as Chomsky put it, their competence. This was OK when the Threshold Level was envisaged as a minimum requirement before students embarked on a high-powered unit-credit scheme. But that scheme never materialised, and the level metaphor was in appropriate for subsequent discussion of what to teach. There's still a muddle, I think. Both old Threshold and new B1 have been used sometimes to describe goals and aspirations, sometimes to describe actual proficiency. My feeling is that total compliance with the descriptors for a gradation is the aspiration one measures. If a student is past the descriptors of the lower level — say A2 (Waystage) — and well on the way to complying with the descriptors of the next — in this case B1 (Threshold) — then it's legitimate to think of them as 'at B1'. If on the whole they comply with the descriptors of B1 (or whatever), then i don't see what else we can call them, even if some of the time they fall short of the descriptors. I do think it's legitimate to devise a B1 syllabus, teach everything in it then test in such a way that total compliance would be perfection. Nobody's perfect, and nobody would comply totally, but that doesn't make it impossible to set a pass mark at less than perfection. I seriously doubt whether you could fall below C2 on any scale for Polish, judged on your performance as a whole. Add to this the fact that communicative testing is conducted with a view to find what candidates can do. If there are occasions outside the testing situation when they fall short, that doesn't affect the observation. If they can do B2-type things, they're assessed as at B2. sounds like a tall order. Human beings fall short of getting their minds 'round those 'most complex situations', not to speak of articulating themselves 'fluently and precisely'. Unless, of course, they are trained to speak and think in 'phrases toutes fait'ees'. Rem tene, verba sequentur, as Cato the Elder was in the habit of advising; the problem is 'rem tenere', even in not the most complex of situations. Maybe some politicians are glib and smug enough to be really at C2 level? I think the reasons are plain on the face of them: different accents simply aren't a barrier to understanding unless the differences are extreme. My grandson, who is almost 4, is growing up in a household with three different American accents, or four when his father is living with us. His own accent has not stabilized yet, but I expect it'll be different from any of them. When I was growing up, there were three accents in my household, and one of them was an L2 accent, my mother's. Perhaps as a consequence, I have never been able to take seriously the notion that, while varied L1 accents are perfectly fine, varied L2 ones are somehow a problem. We may be bewildered by unusual vocabulary (AAVE strain 'beat' is derived by a regular phonological process from StdE restrain, but means something very different) or fail to understand due to differences in syntax (AAVE They ain'(t) like that corresponds to StdE They don't like that, not They aren't like that), but accent? Pffft. The difference between my mother's accent and my father's or mine was only a problem for her in the sense that my grandson's skin color will be a problem for him — some people have irrational prejudices about such things. The CEFL scale doesn't really apply to native speakers very well, because the higher levels reflect a level of education that not all native speakers reach. We are all expert speakers of our native variety of our native tongue, but "summaris[ing] information from different spoken and written sources, reconstructing arguments and accounts in a coherent presentation" is something you learn in school, not something you acquire at your mother's knee, whether she had an L2 accent or not. Both my parents, however, happened to be educated enough to easily meet the C2 level in English, and my mother surely did so in both her languages: all her secondary and tertiary education was in English, but the content of it was German language and literature, which she spent most of her life teaching until she switched to ESL at age fifty. She was in this way unlike Henry Kissinger, who hasn't used German for anything much since he was fifteen, and consequently does not have a fully educated adult's grasp of the language. I don't know what her accent was like in German, except that she said Tach for Tag (and warned her students not to imitate her), but I know she grew up speaking something close to Standard German. In English her accent was so backgrounded for me that I cannot say what it was like any more (she died in 1981). I have had linguists with L2-English parents say the same thing to me: professional expertise doesn't help with your parents' language use, particularly after they have died. That is all very interesting, but tell me this: Did you mother have (in other people's, not yours, opinion) a foreign (German?) accent in English and if she did, was her English perceived as 'perfect' by her anglophone environment nonetheless? Perfect in the sense of that astounding C2-and so on scale, or (most likely) in a more relaxed sense? That one can be regarded as a perfect speaker of English with a _native_ accent is (I think) generally accepted, but (Mr. Lebedev's case) the issue is: can one with a _foreign_? Mr. Cowan, would your mother's birthplace in Germany shed any light on what accent she might have had? Or any recordings of her speech? She was born in Thuringia, but did not speak with a noticeable local accent by all reports. Her aunts, who raised her, required her to always speak the standard dialect rather than the local one. They were the only family of bourgeois origin in the village, and clearly believed that her father, who was away in America for most of her childhood, had married beneath him. As far as I know there are no such recordings. If they existed, they would be reel-to-reel tape. "in the sense that my grandson's skin color will be a problem for him — some people have irrational prejudices about such things." Some have rational prejudices, too--if I'm walking down an alley at nighttime and hear strange voices from behind me, my reaction is justifiably going to be more fearful if those voices are speaking AAVE. I once heard Gill Brown's take on 'perfect' native like pronunciation: we ahem to ask ourselves Do you seriously want to be a chameleon? The one successful candidate she knew was Paul van Buren, who apparently had a different way of crossing his arms when speaking Dutch and when speaking English and who modelled his accent on North London. Even South Londoners were fooled, she believed. By contrast, hardly any foreigner can fool all the people all the time with RP. This was at the back of my mind when I once asked a large group of South African Black students how they would prefer to come across on the 'phone: as White English-speakers or as educated Black English-speakers. I wasn't surprised that they all chose the latter. Don't ask me how, but that's what my spellchecker substituted for need. Why don't you switch your checker off? I never use a spell-checker, and least of all do I let it (if it can't be switched off) correct anything automatically. But to the point: maybe 'perfect English' in the case of a NNS means, since few of them want to be chameleons, a C2-level English (or something of this sort) give-or-take-some-foreign accent? Who is he? I was thinking of a blend between Paul van Dyk and Armin van Buren at first :). Even South Londoners were fooled, she believed. By contrast, hardly any foreigner can fool all the people all the time with RP. Very true. To pass as a NS, I may use GenAm in Britain (I seem to sound "Canadian" in that case) and RP in the US. This also helps hide the minor grammar errors, which are then attributed to being from across the pond. At the moment, I consider myself to be at C1, largely as a result of being out of practice speaking English with NSes and years of dealing with collegues from India, Japan, Germany, French and Portugal, together with fellow Dutchmen with horrible accents and grammar. Paul van Buren is or was an applied linguist. When I did my MSc in Edinburgh, Gill Brown was still in the Department of Applied Linguistics and Paul van Buren had recently left. The Edinburgh MSc is a taught one-year course, so few if any of us had been face to face with van Buren, but we all vaguely aware of him, if only as a co-author of a book we were asked to buy. Googling reveals mostly a lot of references to a theologian of the same name. Even the hits related to right guy are of old papers and books. But there is a first paragraph of a Tribute article — which suggest maybe that he's died — but only subscribers to the journal can read the full article. From it I see that his academic career was largely in Britain — with an interval schoolteaching in Holland. He sounds to have been an interesting guy. This relates to what David Crosbie and John Cowan have posted. There are multiple native speaker accents in the English speaking world. Some of which can be rather unintelligible at times to those with other accents. So it certainly makes sense that we don't necessarily always think of foreign language accents as meaning someone doesn't speak perfect English. Especially if the person's accent is closer to one of the standards than the accents of many native speakers. That does make sense indeed. One could probably forge a non-existing native-like accent without an NS so much as blinking. Or create a foreign one that's not directly traceable to any foreign speech. I know that I can convince people from the West in my native Dutch that I'm from the East or North East, and probably from Belgium as well, though I couldn't fool a speaker of those accents. I'd think the same applies to accents of English (mimicking Sean Bean in Edinburgh or the like). I've sometimes deliberately used a worse pronunciation in languages I'm not proficient in precisely to prevent listeners from overestimating my knowledge of the language and replying with answers I couldn't understand. I do this quite often and for the same reason. Plus, I use a rather heavish foreign accent in certain languages in which I have to quote something or read aloud to students or other partners whose native language the given language is NOT, for instance German, even if I don't have this accent in the language in question while speaking 'normally'. For instance in German I don't reduce my 'r's and such-like. and I must say I can't hear very much by way of foreign accent, or Russian accent. If you know he's Russian, you can (i. e. I can) hear here and there various small points, e.g. his 'sh's and 'ch's, and sometimes a LOT vowel pronounced a slighly Russian-ish way, but other than that I'd say he's ... well... nearly-perfect. His intonation is perhaps sort of strange sometimes, but given the solemn and artificial, sermon-like character of his speech, well... a true Englishman would have had a different tone of voice perhaps but that's on a different level of language (I believe Mr. Wells has mentioned this aspect of things too, above). I listened to parts of this, too, and I can hear a very clear Russian accent, mostly in suprasegmental features such as the very Russian intonation and a variability in vowel length that corresponds to Russian, but also in specific sounds, eg w, his diphthongs, ɪ too close and not very central, prevocalic hard l (Russian-type, not American/Irish) etc. In a prepared lecture, delivery is a problem even for native speakers, so small wonder that it brings out the worst in non-native speakers. At the Levenson Enquiry, Lebedev was speaking spontaneously and in interaction with native speaker. The situation brought out his considerable skills in responding to another speaker, in formulating and reformulating his arguments, in disguising hesitations with native-like pause fillers, in pitching his conversational tone to that of his interlocutor. Ah, "inferior" sounds so hard. His grasp of English is excellent anyway etc. I'd accept a softer word that inferior, but I do think that Lebedev's lecture was a less successful achievement of the same aspiration. It's entirely possible that Lebedev doesn't in Gill Brown's phrase sincerely want to be a chameleon. He may not aspire to sound like David Cameron; he may be happier to sound like a foreigner with extremely good English. It certainly gets him compliments — from Michael White and no doubt others. But I've no doubt he would prefer to sound consistently as near-native as his Levenson Enquiry performance. We haven't, methinks. We haven't even really tried. Instead, we have question'd the accuracy of the word 'mistake' therein. If his (Lebedev's) accent in is various ways off-standard (Lipman above), that is no reason apply the word 'mistake'. Am I wrong? Well, I for one don't accept the question as a valid one. The English that one speaks (or writes) is either without formal grammatical/lexical error — 'perfect' — or not. The criterion of 'perfection 's stark — I would say misguided — but clear. Pronunciation is not one's English~ but what one does to ones English. One could speak perhaps of underperformance but the formal product of performance is either without error or not. Of course 'perfect English' can be poorly pronounced. Or it can be beautifully pronounced. But there's no conceivable criterion of 'perfect' performance — no agreed criterion of what might constitute an 'error'. Since Henry Sweet, if not earlier, no phonetician has done more than describe a standard — in the case of British speakers RP. A single formal deviation is not an error. Popular sentiment has reached the point when strictly defined RP is not even respected by a majority of British speakers, let alone emulated. Whether I agree (or rather, find it useful) or not, I understand why people are strictly prescriptive, or deny themselves any judgment and evaluation, or have a reasonable approach, eg defining "correct" as whatever will be felt to be native by native speakers etc. But I don't understand why you make a difference between grammar and lexis on the one hand and phonetics on the other, and actually seem to see them as different dimensions. your statement above is an _answer_ to John's question (if possibly one that may disappoint John), meseemeth, rather than its invalidation. Interestingly, most contributions to this topic disregarded the 'foreignness' aspect of the issue (L's accent) and focussed on how wonderful various _native_ (i.e., Anglophone) accents in English are. Well, no doubt they are, but L's is not a native accent, that was the issue, in my understanding. RP may now be in low esteem, but the alternative is Estuary or Geordie, or perhaps Appalachian, or (why not) Stewart Island (NZ), but not the accent of Mzensk or some such place... . In English, that is, in Russian it's the other way (a)round. One difference is that you can achieve spurious perfection by avoiding grammatical and lexical choices where there's any danger of producing a deviant or inappropriate form. Those those who think that way recognise perfection up to the point where a speaker makes a single grammatical mistake or error — perhaps also up to the point where the speaker makes a wrong lexical choice. It's a poor measure of the speaker's skills, but it's undoubtedly a measure — indeed an objective measure. It makes much more sense to assess what a speaker can do — relegating the error count to a secondary judgement. Pronunciation, by contrast, is a skill that can only be judged on the basis of the speaker's total output. Yes you can make an arbitrary inventory of forms that you will consider as errors (or mistakes, if you recognise a difference), but it's inevitably subjective. I suppose it's theoretically possible to devise speech-recognition programs with a 'cliff-drop' cut-off between acceptable and unacceptable, but could we really trust the stupid computer? You can't bluff perfection in pronunciation by avoiding all the difficult sounds. Unless all your sounds are what is called 'accent-free', the features perceived as 'accent' pervade everything you say. I used to know a French woman with a wonderful English accent which she'd acquired as a little girl in what was then Malaya. She forgot all her English when the family returned to France. But when she started English at school she recalled her pronunciation skill. Grammar and lexis was different; she had to learn them all over again. This is a fascinating discussion. It always grates me when I read spy novels or watch spy films where they suggest that Agent So-and-So can speak a foreign language without any hint of an accent. For all my life-long efforts and passion for a particular L2, and my layman's interest in phonology, which leave me to strive to speak with as little trace of an accent as possible, I think complete absence of accent is near impossible for an adult learner. It is not simply the fact that physically it is harder to form certain foreign sounds, it is also that it is harder to hear the differences. For the untrained, accent deafness has a strong impact. For over 15 years, I had no idea that my Australian accent had me pronouncing words with -el- with a TRAP vowel instead of a DRESS vowel - and as a consequence, I didn't hear myself doing the same thing in French, even though native-speakers (and even other English speakers) would clearly hear it as an incorrect pronunciation in French. The other side is the difficulty in teaching pronunciation in English (at least by immersion) because of the variety of native speaker accents. We have long since abandoned value judgments about particular accents in native English speakers, but I suspect they are still strong in ESL circles. It always seems a little odd to encounter a French speaker here in Australia who has picked up broad Australian vowels. I think complete absence of accent is near impossible for an adult learner. Tell that to the acting profession! That 'Unknown' comment was mine. I'm not sure if we disagree or if we are speaking at cross-purposes. I was referring to the near impossibility of speaking a foreign language without an accent if you learn it as an adult. Mimicking other accents in your own language is much easier - perhaps we have a better ear for the subtle differences, and our mouths already have the right muscles formed to simulate the varieties in sound. But, I am having trouble thinking of any foreign actor who learnt English as an adult who can credibly be cast as a native English speaker. And I am not able to judge how good English-speakers' pronunciation is in other languages. Kristin Scott Thomas certainly is cast as a Frenchwoman in French films, but I would be keen to know if French native speakers detect any accent in her French (and whether she learned French as an adult, for that matter). It depends what you mean by 'plausibly'. Plausible to whom? The accents we know are our own and a handful that we hear all the time or belong to speakers that we relate to emotionally. Additionally, there are a number of features that we recognise from accents that we know in far mess depth. If we hear an accent as implausible, it need not be a question of the speaker falling short of perfection; it may be that we recognise a feature that belongs in a different accent. In a vast number of cases — though not necessarily the most communal cases — the hearer doesn't throughly know the 'true' accent and/or doesn't recognise the 'foreign' features, which may, of course be very subtle. For example, I doubt whether I could spot a Hungarian with a decent New Zealand accent — even though a New Zealander, or indeed a Hungarian, might find it obvious for what it was. Meryl Streep recently persuaded most audiences that she sounded like someone we've all heard extensively — Margaret Hilda Thatcher. In Sophie's Choice I was persuaded that she was Polish — even if she was less 'plausible' to a Pole. David, have you really found it vompelling? I thought her acting and accent were a horrid farce. While she was playing Baroness Thatcher. it's quite good but leaning towards Russian (a Russian who had long been speaking Polish is speaking English as it were), harsh 'h's, overpalatalisation of certain consonants, but on the whole as I say quite good. The biggest give-away of course is the totally unPolish way she says 'mięso' (meat), it is as if she wished to ridicule Polish. She could have been Polish---a Polish actress instructed to speak English not with her real accent but a slightly modified one, which, however, sounds 'more Polish' to American ears. Methinks, there's a specific dialectics here in that we'd talk about "perfection" only if there's a slight imperfection. In my native tongue, my grammar has been strongly influenced by my passion for literature; I'm habitually using, even in informal speech, features that otherwise occur nowadays only in formal written language. Playing amateur theatre and reciting poetry and sound poetry -- with accompanying voice and pronunciation exercises -- has given me an actor's articulation. And yet, while I have often heard that my language use were "beautiful" or even "intimidating", nobody has ever told me that my German would be "perfect." In fact, I would find this rather odd. I recently got a lot of very warm compliments on my articulation and intonation by fellow actors. But again, "extremely good", "beautiful", but never "perfect". I wouldn't even know what "perfect" in this context could possibly mean. There's no closed system of language that one could master "with perfection". On the contrary, in dealing with language artistically in the context of poetry and performance, it is precisely the openness and incompleteness of the system that comes to the foreground. When I'm preparing my lines for the theatre, or when I'm preparing the recital of a poem with an ear and mouth that have been schooled by sound poetry, then intonation and even articulation reveal themselves to be a clay that needs to be formed and not some already fixed standard, carved in stone. In other words: whoever talks about "perfection" in this context lacks the competence to make that statement. But maybe it's not necessary to go to the extremes of artistic language use. I'd already find it very odd if somebody complimented just any native speaker on his or her native tongue being "perfect". On the other hand, I have often heard (and said my self) that some L2 speaker's German would be "perfect". In all these cases, there was a slight imperfection giving away that the speaker is not a native speaker. - An American friend of mine, an opera singer, who has been living in Germany for more than ten years. Her articulation is flawless and her grammar doesn't exhibit any more irregularities compared to a school book grammar than that of any native speaker. However, slight 'oddities' in her phrase intonation are giving her away as American. - A Portuguese friend of mine who came to Germany as a young adult and has been living here for more than thirty years. In informal speech, he easily passes as a native speaker, at least on a good day. His writing, however, reveals that he never really got a grasp on declensions.